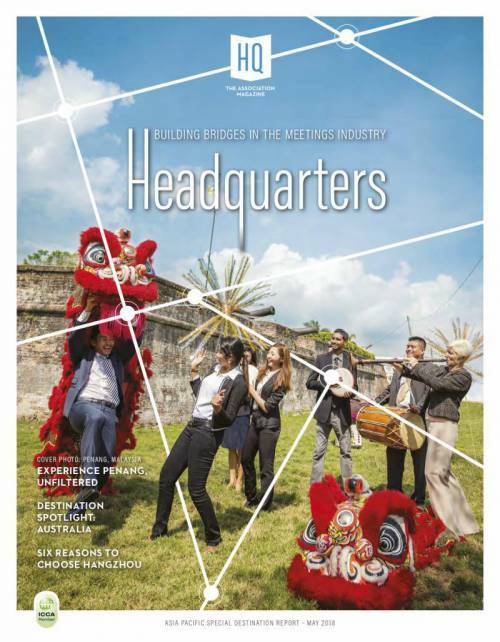 Pierre Goad, President of APACD and Group Head of Human Resources and Communications at HSBC, tells us more about promoting a pan-Asia-Pacific communication culture in an ever-globalising world. What does APACD offer to their members? APACD presents new opportunities for communicators to tackle the challenges we share and advance our profession. Todo so we are looking to establish common quality standards, support professional qualification, organise conferences and meetings, and provide research and other forms of informative media material. In this era of ultra-connectivity we feel that is vital that communication professionals are able to share and exchange with ease. How many members does APACD have now and can you describe their background? In just two years we have welcomed more than 600 senior in-house communicators to APCAD. Many of our members are from Hong Kong and Singapore, with a sizable number also working in Australia and India. In total 17 countries are represented in APACD from all over Asia-Pacific. This includes a broad range of representatives from diverse fields and sectors. The largest sectors are finance and insurance, information and communication technologies, as well as food and consumer products. What are the major events held by APACD? We have an annual meeting. It is our General Meeting, which takes place on the first day of the Asia-Pacific Communications Summit. Our first summit was held in Hong Kong last year and this year it will be in Singapore. The General Meeting provides members an opportunity to review past developments and discuss future activities of the association. But that is just a start. We also have many regular event formats for our members, including country events with a focus on more geographic-specific issues, showcase sessions featuring expert speakers, speed networking events, P2P workshops and expert webinars. What is the decision-making process like for organising events? As our association prides itself on being “by peers, for peers”, our decisions are based on discussion amongst our board and membership base. We are always looking to benefit our members through our activities and that provides a logical starting point for our decisions. For example, as many of our members currently reside in Hong Kong and Singapore, these are the locations for our first two summits. We also strive to establish a standard procedure for our events. There are many things to consider – room layout and size, staging, budget etc – but we hope to give attendees a great first and also lasting impression of their time with APACD. In regards to our summit especially we want to create a dignified atmosphere for the gala ceremony to reward attendees and our venue selection reflects this aspiration. What is the most memorable event you have attended as a participant or an organiser? I’m afraid I cannot narrow it to just one selection. What comes to mind first is our foundation meeting in June 2014. There was such a great spirit in the room where so many like-minded colleagues gathered together in support of the APACD concept. 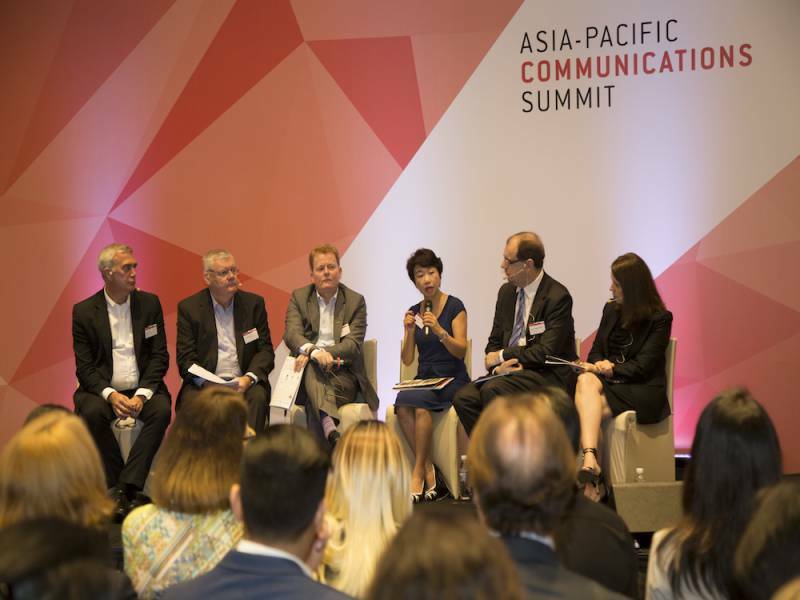 From the 80 in attendance at that initial coming together, we grew to host 500 last year in Hong Kong for the inaugural Asia-Pacific Communications Summit. While the two days were packed with insights, I recall one exchange that particularly highlighted the value of the event. Two communications professionals, one from India and the other from Hong Kong, took to the stage to discuss an internal communications challenge they had both experienced. It was the same problem although approached with differing cultural considerations and industry expectations in mind. This exchange later provided the basis for an expert webinar. More than 100 viewed the webinar live and we received terrific feedback. I think this shows why APACD is a great peer platform. What do you like about working for APACD? I am extremely proud to be part of an engaged and ever-expanding community. To help bring such a diverse region together has been very rewarding. My involvement has also been extremely enriching for my professional life. Through my duties on the board I have had the opportunity to work with some particularly talented and driven communicators. Both this experience and the insights I have taken from the APACD events have provided me the chance to reflect upon my own professional practices and strive for better. 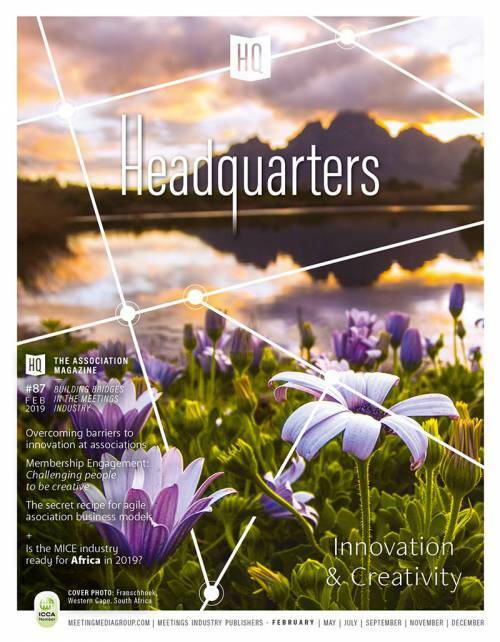 What do you think are the latest trends in the communications industry? Our topic for this year’s summit in Singapore is Hyperconnected Communications. This is a crucial theme in whatever industry you are working in. Tech innovation has provided us with the means to satisfy our need to communicate with an unbelievably high level of interconnection. There is no doubt that we are now living in an 'always on' society where communication never sleeps (nor do people arguably). Social media, mobile devices and digital technology has made it possible to have your dialogue partner in the palm of your hand, 24/7 across multiple channels. We are living through a profound change in the way in which we share and consume information, how we manage news outlets, and how we communicate as a company with our clients and our employees. As communicators, the biggest question is how we can adapt and what we need to do on a practical level. How do you see the future of APACD? We are always looking to strengthen and grow membership, as this will ensure the future of the APACD. This relies on providing further opportunities for connection between our diverse members. To do so we want to continue reaching out to in-house communicators throughout the region. We are confident that our event formats can equip all our members with the tools to achieve a high level of communications practice in Asia-Pacific. By continuing to organise frequent high-quality events and taking into account our member’s wishes, we will continue to grow.